People with a certain type of gene are more deeply affected by their life experiences, a new study has revealed. Dr Chad Bousman has conducted the first longitudinal study to look at how a certain gene can influence a person's sensitivity to their environment. This article originally appeared on in the Newsroom on 23 September. View the original here. Researchers at the University of Melbourne were interested in why some, but not all adults who have experienced sexual or physical abuse as children go on to develop long-term depression. The research, published in British Journal of Psychiatry Open focussed on a particular gene, known as SERT, that transports the mood-regulating chemical, serotonin. Every person has one of three types of SERT gene, either the long-long (l/l), the short-long (s/l), or the short-short (s/s). The team DNA tested 333 middle-aged Victorians of Northern and Western European ancestry*. They recorded their depressive symptoms each year over a five-year period. 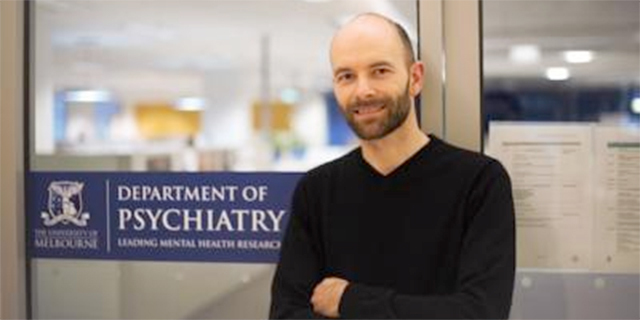 Researchers from the Departments of Psychiatry and General Practice at the University of Melbourne, say the findings challenge traditional thinking about depression. In the future, the gene could signal a person's susceptibility to depression, particularly if they have a history of child abuse. And it may help doctors identify patients who need extra assistance to recover from depression. Lead investigator Dr Chad Bousman said while the relationship between the SERT gene and depression has been studied before, it has never been examined over time. Tracking this relationship over five years provides insights on changes in depressive symptoms over time and evidence that these symptoms in some people are more affected by their life experiences. He said this could offer hope to people who experience ongoing clinical depression. "Our results suggest some people have a genetic makeup that makes them more susceptible to negative environments, but if put in a supportive environment these same people are likely to thrive," Dr Bousman said. He said this is good news for people experiencing depression and their treating health professionals. "You can't change your genotype or go back and change your childhood, but you can take steps to modify your current environment," he said. "It also means that it's not as clear-cut as telling a person that because they have a risk gene, they're doomed. This research is showing that's not the case at all." "A person's genes alone are not enough to determine how they might experience depression. This research tells us that what may be considered a risk gene in one context, may actually be beneficial in another. So this directly opposes the notion of genetic determinism, the idea that your genes define your fate," Dr Bousman added. The University of Melbourne researchers are now exploring ways to identify people who are most sensitive to life experiences by examining multiple genes at the same time. The research was conducted in collaboration between Department of Psychiatry and the Department of General Practice at the University of Melbourne. Participants were recruited from the Diagnosis, Management and Outcomes of Depression in Primary Care (diamond) study, an ongoing prospective cohort of primary care attendees, led by Professor Jane Gunn. The project started in 2005 and works with 30 randomly recruited rural and metropolitan general practices in Victoria, Australia. The study was supported by the National Health and Medical Research Council and the L.E.W. Carty Charitable Fund. It is important to note that the participants in this study were of Northern and Western European descent, as there are substantial differences in prevalence of the s/s genotype in different populations. Depression symptom severity was measured each year over five years using the Primary Care Evaluation of Mental Disorders Patient Health Questionnaire (PHQ-9).